Some would say that there is nothing more liberating then cruising in peace along a calm lake, cool water splashing against sun-roasted skin. Others may disagree, though, claiming that the crisp desert air blowing through their hair as they cruise along undisturbed sand dunes is the ultimate freedom. If you're amongst those in the second group, you should be itching to make the deserts of Nevada your next vacation spot. 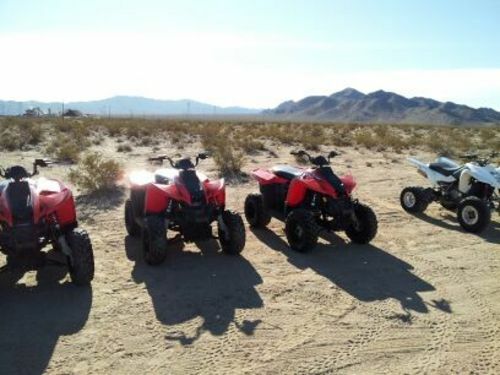 With a vast stretch of unbridled desert and areas of smooth sand dunes, the outlying areas surrounding Las Vegas create the perfect experience for an ATV tour. From a map view, the surrounding areas of Las Vegas and the outlying desert may seem like nothing more than a long stretch of emptiness marked with scattered mountain ranges. 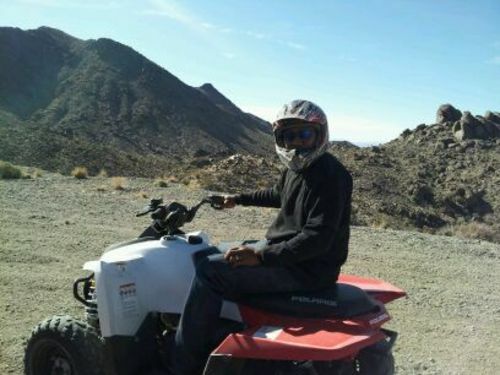 As you start to get closer and find yourself in a more intimate position with the desert, you're going to find that what seemed like a stretch of nothingness is actually the perfect spot to rev up your ATV and take it for a scenery-ridden spin. With locations like the Grand Canyon, the Hoover Dam, and some unknown hot spots, the Nevada desert has plenty to offer any passing surveyors. When you think of Nevada landmarks, the first thing that comes to mind is most likely the Grand Canyon. While it may be a dangerous feat to get anywhere near the expansive drop, surrounding flatlands make for the perfect spot to cruise through with an ATV. If you're in for an all day experience, you can start your day trip on the northern edge of Las Vegas and cruise down past the Las Vegas Valley to your first stop at Lake Mead. From the expansive lake, your tour can continue down to the Grand Canyon, where you can end your tour with picture perfect scenery of the huge canyon. For those interested in a continuous waterfront view, areas surrounding the Hoover Dam allow for a continuous view of the large structure and the lake that lies beneath it. Since areas like the Grand Canyon, Lake Mead, and the Hoover Dam are amongst Nevada's tourist traps, you may start to feel the crowd getting a bit too close during the tourist months. In this event, you can make your way to lesser known locations like El Dorado Canyon, Valley of Fire, Red Rock Canyon, Hidden Valley, or even cruise around the outskirts of ghost towns like Rhyolite. One of the more breathtaking experiences you could have comes in the form of a vast array of rolling sand. Sand Mountain, located in Fallon, Nevada, is known for its near flawlessly white sand and the unusual notion that the sand mountain itself is singing. Coming in at over 400 feet tall, a casual ride along the singing mountain of sand offers an unmatched view of the empty wasteland that surrounds Fallon. While Fallon rests approximately six hours from Las Vegas, the visit to Sand Mountain would require far more then a few hours of riding to garner full appreciation.